Polymer’s great Aunt…Bakelite never shows ‘her’ age!!! The 2012 spring runway shows were full of Bakelite bangles covering arms from wrist to elbow. The large cuff is hot…hot…hot this year and there is no better source for inspiration than the google images of Bakelite. omg! i am in heaven! 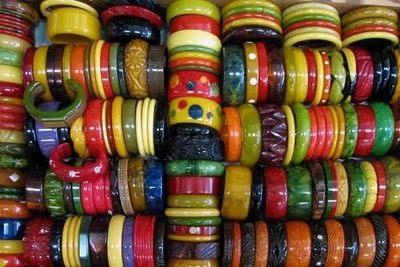 What is it about Bakelite…no matter what the color or design…it is always a WOW moment!! !